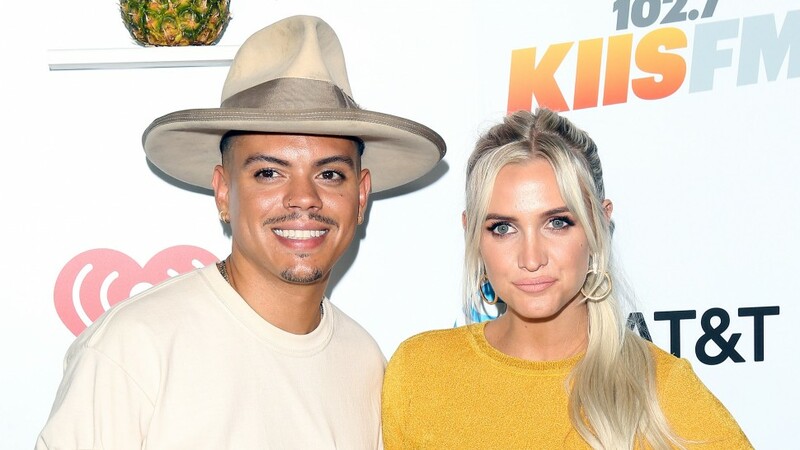 Ashlee Simpson and Evan Ross Welcome Fans Into Their World in First ‘Evan + Ross’ Teaser — Watch! Get ready to step inside Ashlee Simpson and Evan Ross’ life! The first sneak peek at their upcoming E! reality series, Ashlee + Evan, dropped on Tuesday, giving fans a taste of what to expect from the elusive duo. “Ashlee is super talented. She’s had an incredible career,” Ross, 29, describes his wife of four years. The series, which is Simpson’s first reality series since The Ashlee Simpson Show 14 years ago, will follow the couple as they raise their family and work on their upcoming joint album. The Hunger Games actor and the “Pieces of Me” singer married in 2014 and have a 2-year-old daughter, Jagger. Simpson is also mom to 9-year-old son Bronx from her previous marriage to Pete Wentz. The couple has grown up in the spotlight — Ross is Diana Ross’ son, while Simpson grew up with famous sister Jessica Simpson — and are confident that their marriage will remain strong, despite sharing it with the world. “I want five more, she said one more,” her husband added. See more of the twosome in the video below.